MKs across the political spectrum call for the perpetrators to be found and brought to justice after baby dies in arson attack. Politicians condemned the arson attack on the Palestinian village of Duma in the strongest terms on Friday, after a one-and-a-half-year-old baby was killed and four others injured. "The fire and the murder of the Palestinian toddler is an act of terrorism," Defense Minister Moshe Ya'alon said in a statement. "We will not allow terrorists to take the lives of Palestinians." "This is not a hate crime, this is not a 'price tag' attack; this is murder," Education Minister MK Naftali Bennett (Jewish Home) stated Friday morning. "The arson of a home in Duma and the murder of a baby is an insane act of terror, that the mind cannot fathom." "I call on security forces to work diligently to get to the perpetrators in order to punish them to the full extent of the law." Yisrael Beytenu chairman MK Avigdor Liberman "condemns the criminal act in the village of Duma, and it is the security forces' responsibility to find those responsible and to exact justice against them quickly." "This is a blow against both the foundation of democracy in the State of Israel and the settlement movement," he added. 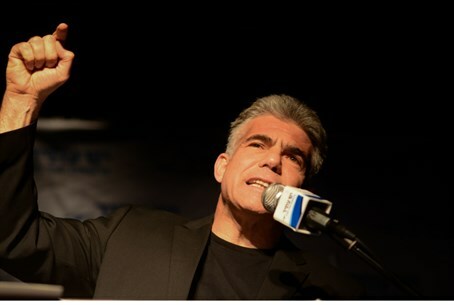 "We are at war," Yesh Atid chairman Yair Lapid fired Friday. "Whoever burns a Palestinian baby has declared war on Israel. Whoever attacks with a knife our youths at the Gay Pride has declared war on Israel." "Whoever burns churches has declared war on Israel. Anyone who threatens to attack the Supreme Court with a D9 has declared war on Israel [reference to MK Motti Yogev - ed. ]," he continued. "Whoever throws rocks at security forces, has declared war on Israel. [Anti-assimilation activists] LEHAVA are traitors who help the enemy in time of war," Lapid added. "Those who beat Arab youths in Jerusalem are traitors." "The enemy worked the night in the village of Duma. Terrorists entered the night and burned a baby," he said. "These people are a fifth column. They are the natural partners of Hamas, Hezbollah, ISIS." "They betray all that is sacred to us, traitors very idea on which the State of Israel - they are Jewish traitors." Zionist Union chairman and Opposition leader MK Yitzhak Herzog also connected the Duma attack with Thursday's stabbing at the Jerusalem Gay Pride parade - albeit with a less inflammatory message. "These are terrible days," he said. "Yesterday in Jerusalem and today with the hate crime in Duma. The death of a baby and the arson of a home are terrible tragedies. This is terror in every way of the worst kind, the (Mohammed) Abu-Khdeir attack repeats itself and demands we don sackcloth and ashes - nationally." "Security forces must redouble and investigate the attack with all of its resources, including a wave of arrests and interrogations until the perpetrators are brought to justice." "I call on my brothers on the other side of the political spectrum: there needs to be a soul-searching done here," he added. Jewish Home MK Yinon Magal also connected the Duma attack to a different terror attack, but from an entirely different perspective. "The attack in Duma is right next to where Malachi Rosenfeld, hy"d, was murdered," Magal noted on Twitter, referring to a Hamas shooting attack last month on four Jews from Kohav Hashahar. "Yesterday marked thirty days [since Rosenfeld died of his wounds, ending a cycle of Jewish mourning - ed.]." "I am guessing that this despicable act came as revenge," he added. "That's not our way." Magal's words sparked a heated dialogue with former head of the Yesha Council, Dani Dayan. "We should tell the truth: this nearly happened before in Hawara," Dayan tweeted. "It was inevitable. We knew it and we despised it. We fought it, but not as well as we should have." Dayan further accused Magal of "whitewashing" the attack. Extreme leftist and Peace Now leader Yariv Oppenheimer then jumped in on the Twitter war, stating that Magal "justified the attack in one half" of the statement and "politely condemned it" in the other. "One more condemnation like this and we're all lost," he claimed. Various MKs also opined on how the IDF should proceed, with the majority calling for swift action to apprehend the perpetrators. "You have to do everything to get your hands on these people, and punish them all severely," MK Motti Yogev (Jewish Home) stated on Army Radio Friday. "This is shocking to the entire Jewish settlement movement, to our way of life." MK Bezalel Smotrich (Jewish Home) also condemned the attack - but then added that the IDF should be on high alert for retaliation. "The Duma murder is a serious incident that should not have happened," he said. "The struggle over the Land of Israel is difficult, complex and often fraught, and anger and frustration are justified, originating from the murderous Palestinian conduct, and [...] even the hypocrisy of certain officials on the far left and wrong conduct by government." "But - and this is a big but - we cannot in any way lose our sense and get lost, and that's probably what happened tonight," he added. "We need nerves of steel to keep a cool head and not get carried away and commit these evil and harmful acts. He called on the IDF to prepare for Palestinian disturbances that may evolve following the incident. "Murderous terrorism against Palestinians should not be a reason to attack Jews, but they are using it as an excuse to boost terror activity."